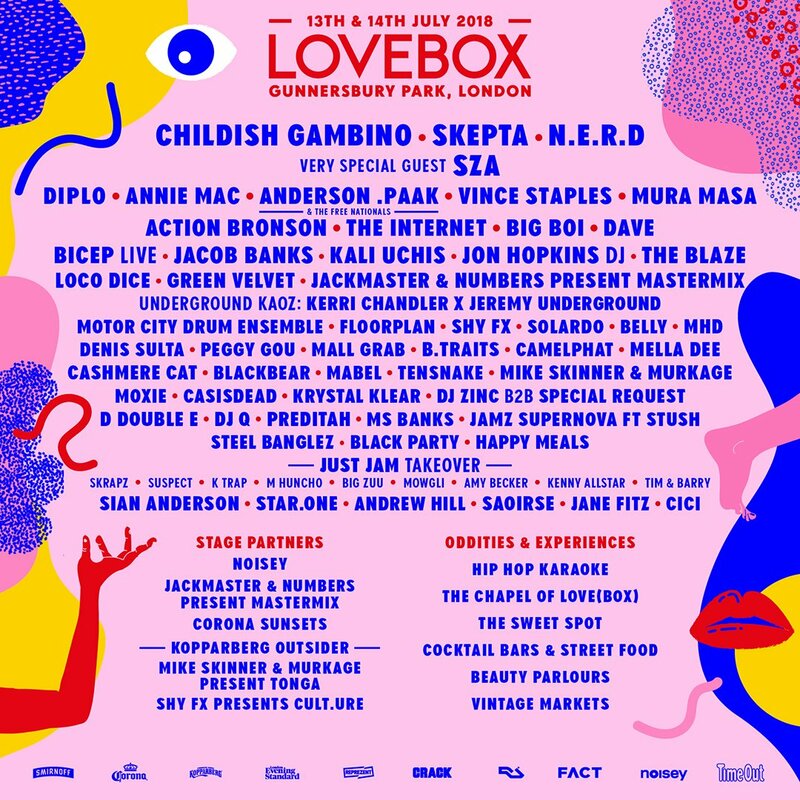 Lovebox is a two-day music festival held in Victoria Park, Tower Hamlets, London. The event combines a variety of dance, indie, rock, world and pop music, It was founded on 2002 by DJs Groove Armada. During this time, Lovebox has also hosted events in Newcastle, Dublin and Ibiza as well as numerous parties and club nights. The festival is renowned for its creative-led atmosphere with elaborately dressed stages and various other events to get involved in during the day. There are a variety of themed bars and eating areas and the festival has won several awards over the years. The winners will experience a feast of festival action starting at 12pm and will receive their tickets no later than 48 hours before the day of the event.